The following guest post is by Houda Lazrak, a graduate student in Museum Studies at New York University. Presenting a distinctive global perspective on art, music, fashion and culture, Modern Hieroglyphics — readying now for the release of its second issue — premiered this past summer. Co-founded by adventurous designer Jack McKain and West Coast-based artist Chor Boogie, the 156-page publication features fascinating interviews with ten talented artists, along with dozens of photos. 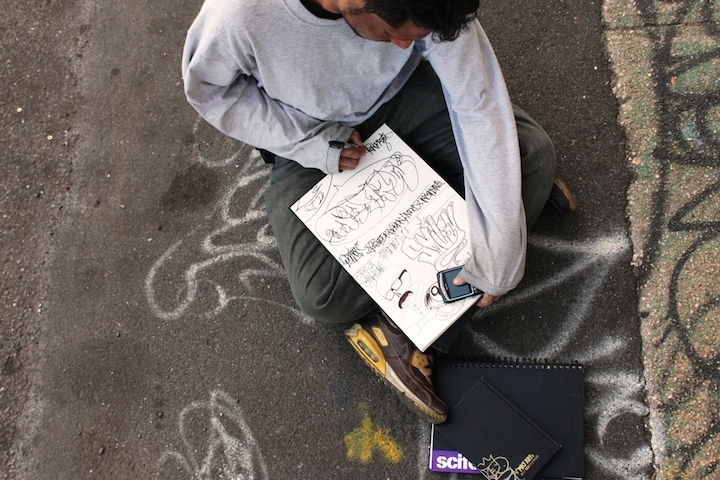 Tapping into graffiti history, the term Modern Hieroglyphics was first coined by San Diego-based Blame One. The term was then popularized by Chor Boogie to define his personal style. Finally, it was re-adapted to serve as the title and theme for this magazine’s spirit – a belief in the inherent power of visual communication through pictures and pictographs. The interviews, conducted by McKain, are first rate. Meres One, for example, recounts his experience as curator of Long Island City’s 5 Pointz, along with his tenuous fight against gentrification and the whitewash of the iconic legal graffiti space. In another interview, Noah Scalin describes his Skull-A-Day project. 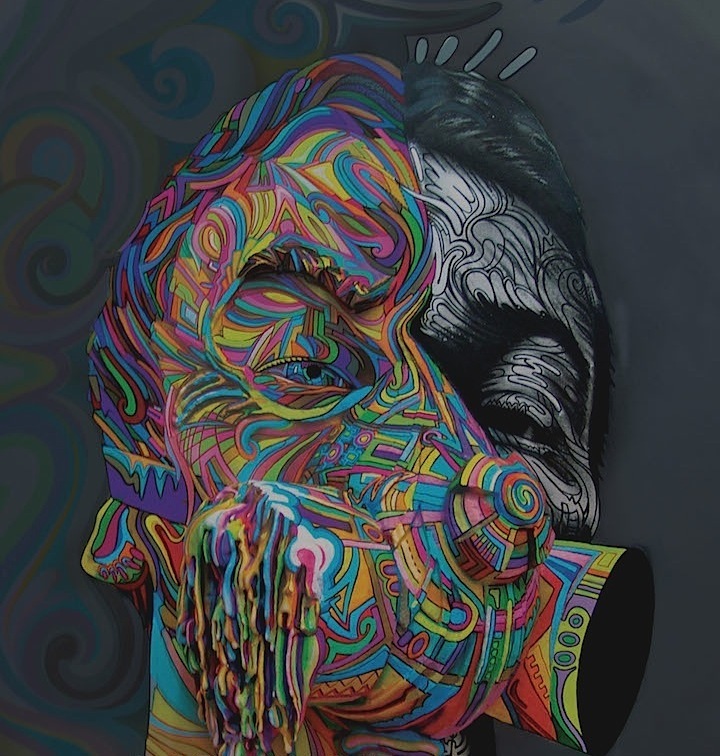 To challenge his creative capacity and test his commitment abilities, the artist embarked on a one-year venture to fashion a skull image from different materials every day. Scalin describes how he garnered an online following and transformed what was a personal project into a public one – a creative commitment that, he confesses, became addictive. All of the interviews are accompanied with strikingly beautiful images and end with links to relevant social media. To promote the role of photographers in the creation process of Modern Hieroglyphics, the publication also includes clear photo credits and devotes the final page to photographers’ contact information. Certain to appeal to us street art and graffiti aficionados, Modern Hieroglyphics is a widely creative platform that exposes the talents of international artists through captivating imagery and engaging text. 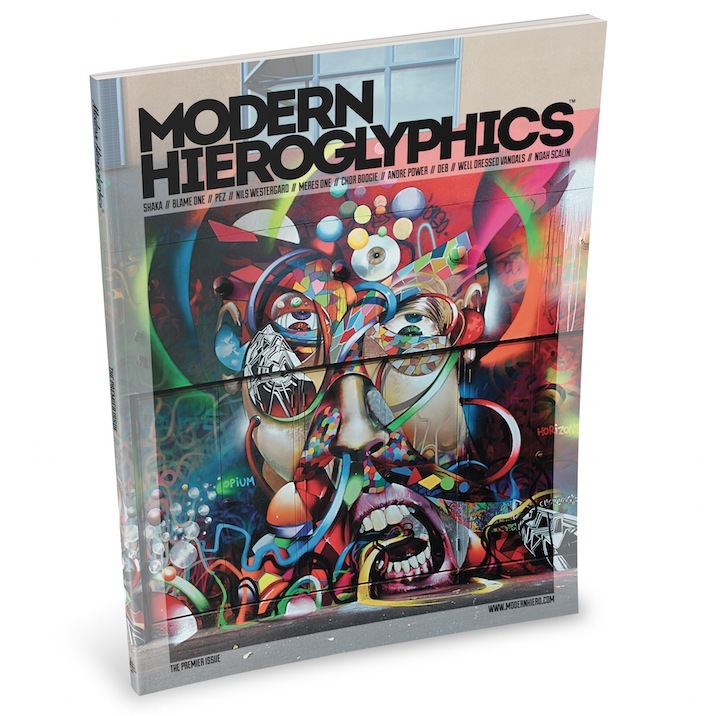 Note: In addition to its website and Facebook page, you can also follow Modern Hieroglyphics on Instagram as it readies for the release of its second issue.